Carolyn Ann Rice, 51, of 726 Sunny Dell Drive in Clermont, Fla., formerly of Easton, died Thursday (February 7, 1991) in Orlando Reginal Medical Center in Orlando, Fla., after a one-year battle with cancer. She was employeed as a special education teacher at the Clermont Elementary School. Prior to moving to Florida, she was employed by Northampton County Intermediate Unit 20. 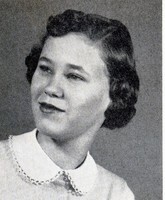 Born March 1, 1939 in Phillipsburg, she was a daughter of Carl L. and Kathryn M. Pfannenschlag Tilwick of Clermont. She moved to Clermont in 1976 from Easton. She was a graduate of Easton High School and Kutztown State College. In addition to her parents, she is survived by a son, Stephen E. of Apopka, Fla.; and a brother Robert A. of Nazareth.